21st Century Fox is the world’s premier portfolio of cable, broadcast, film, pay TV and satellite assets spanning six continents across the globe. Reaching more than 1.8 billion subscribers in approximately 50 local languages every day, 21st Century Fox is home to a global portfolio of cable and broadcasting networks and properties, including FOX, FX, FXX, FXM, FS1, Fox News Channel, Fox Business Network, FOX Sports, Fox Sports Network, National Geographic, STAR India, 28 local television stations in the U.S. and more than 350 international channels; film studio Twentieth Century Fox Film; and television production studios Twentieth Century Fox Television and a 50% ownership interest in Endemol Shine Group. The Company also holds a 39.1% ownership interest in Sky, Europe’s leading entertainment company, which serves 22 million customers across five countries. The Authors’ Licensing and Collecting Society (ALCS) is a not-for-profit organisation started by writers for the benefit of all types of writers. 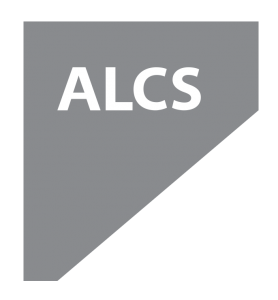 Owned by its members, ALCS collects money due for secondary uses of writers’ work. It is designed to support authors and their creativity, ensure they receive fair payment and see their rights are respected. It promotes and teaches the principles of copyright and campaigns for a fair deal. It represents over 100,000 members, and since 1977 has paid around £500 million to writers (alcs.co.uk). The Motion Picture Association (MPA) and the Motion Picture Association International (MPA-I) represent the interests of the six international producers and distributors of filmed entertainment. To do so, they promote and protect the intellectual property rights of these companies and conduct public awareness programs to highlight to movie fans around the world the importance of content protection. These activities have helped to transform entire markets benefiting film and television industries in each country including foreign and local filmmakers alike. Sky is the UK’s largest pay-TV broadcaster with 11 million customers as of 2015, providing television and broadband Internet services, fixed line and mobile telephone services to consumers and businesses in the United Kingdom. ​​​​​​​​​​​​​​​​​​​​​​​​​​​​Viacom is home to the world’s premier entertainment brands that connect with audiences through compelling content across television, motion picture, online and mobile platforms in over 160 countries and territories. © Film the House. All rights reserved.